A 48 hour tube strike means passengers are struggling to get to London airports from today. In addition to the Tube services, Heathrow said that its Heathrow Express and Connect overland services to and from the airport are also being disrupted. The Piccadilly Line is only operating between Acton Town and the Heathrow’s Terminals 1,2 and 3 and there is no Heathrow Connect service. National Express is operating additional services between Heathrow and Victoria coach station during the strike period, however the coach operator has warned that some services may be subject to delays due to the impact of the strike. All train services on the Gatwick Express are currently running normally, as are railways services to London City, however passengers are advised to leave extra time for their journeys. The RMT union is striking over London Underground’s plans to close ticket offices and cut 960 jobs. It has warned that if the dispute is not resolved, then a second 72-hour strike, is planned to begin at 9pm on 5th May. Gatwick Express trains will not run from Christmas Day to January 1st, affecting holidaymakers’ travel plans over the busy holiday period. The closure is to allow for essential improvement work between Redhill and Purley, at Gatwick Airport and London Victoria stations. Further disruptions on the line will also take place throughout January, with closures on 12th and 26th and reduced services on other Sundays throughout the month. Passengers are being advised to to catch the longer Southern Rail services and to allow extra time for their journeys. Some of the worst weather of the year so far is hitting the UK and parts of Europe, causing wide-spread travel disruption. Yesterday airports in Scotland were severely hit by delays and cancellations, and many roads were closed as it’s been claimed the country was practically ‘closed down’ due to winds up to 140mph. Although the winds are dying down in Scotland and the northern half of the country today, there are still expected to be some delays and cancellations to flights. Manchester airport is advising passengers to check the status of their flight before leaving for the airport. British Airways and Lufthansa are warning of flight disruption, while a “significant number” of KLM and KLM Cityhopper flights have been cancelled across Europe. EasyJet said strong winds will continue to affect northern and north eastern Europe today. “The weather situation in Copenhagen and Hamburg is still difficult following yesterday’s disruption and flights may still experience weather associated delays,” it said. Here is a video of a huge A380 aircraft coming in to land at Manchester Airport yesterday, clearly rocking in the difficult conditions. Watch from around 20 seconds in..
Today flood alerts are in place across England and Wales as the weather heads further south. Thousands are being evacuated from their homes in Essex, Norfolk and Suffolk, and around 120,000 have been left without power. Britain and France plan to reject the European Commission’s request to reduce the charges for passenger and freight trains using the Channel Tunnel. The Commission said excessively high track-access charges meant for higher ticket prices for Eurostar passengers from London to Paris and linking to Brussels. A spokesperson for the Commission said 43% of the tunnel’s capacity was not being used partly as a result of the high charges. 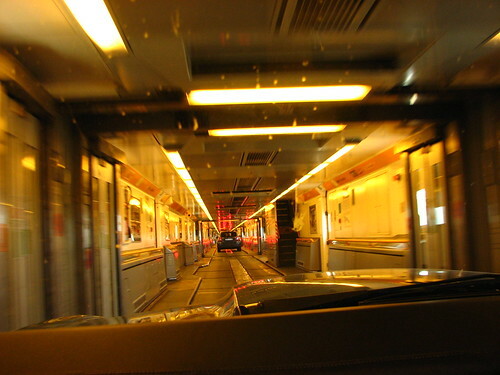 Eurotunnel currently charges a one-way reservation fee of €4,320 for Eurostar trains and €16.60 per passenger. EU officials claim that if the charges were roughly halved, then the amount of daily freight train services would double and make up the difference. Under EU law, rail companies can only charge fees consistent with the amount of wear caused by a train journey. However, a Commission investigation claimed charges by Channel Tunnel operators were more than necessary and they were using the income to subsidise the operator’s car shuttle service, which does not pay such charges. The French transport ministry confirmed that it found the Commission’s grievances unfounded. A spokesperson said: “We will argue that these charges are based on long-term costs – that they include the cost of building the infrastructure and amortising the investment, that they don’t only take into account operational costs and that this is in line with a European directive”. Eurostar has a busy schedule this bank holiday weekend. 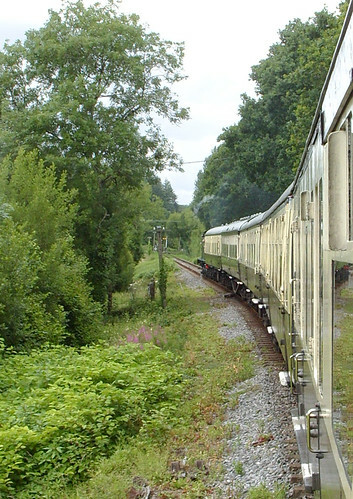 It reports that passenger numbers are up 3% this bank holiday weekend compared to the same time last year. More than 110,000 people are expected to travel across it’s network this weekend, with Paris, Disneyland Paris and Avignon proving the most popular destinations. Today (Friday) will be the busiest day for departures, with Eurostar adding extra services to Paris to meet the demand. Those travelling with young children will be pleased to find a magician ready to entertain them in the departure lounge, whilst parents can enjoy a free massage and tea and biscuits. Train tickets sold by agents can now be printed from standard desktop inkjet printers. Prior to this, agents had to use bespoke printers for this purpose. But thanks to technological advances by Travelport and Rail Europe, the process is now easier and more efficient. “It allows for much faster and more efficient printing of train tickets,” said Paul Lacey, head of sales at Rail Europe. If train travel is your thing, then you can rent many holiday cottages and villas in places along numerous train routes across the UK and Europe. Happy new year to all our readers! 2012 was an eventful year for travel news, so here’s a round up of the major stories that we covered over the year. The year started with opposition to the newly introduced European Commission’s Emissions Trading Scheme (ETS) with the China Air Transport Association (CATA) stating that its members would not cooperate with the new tax; followed by a meeting between other opposing countries to discuss possible retaliatory measures. February continued with the debate over ETS. Europe dug its heels in to keep the scheme while opposing countries signed a declaration regarding measures they wished to be taken before they would comply. Meanwhile, growing social unrest in Greece prompted warnings from the Foreign Office. KLM and Malaysia Airlines launched their own cheeky social networking in the sky schemes in March. Cash-strapped Kingfisher Airlines suspended international flights on eight major routes shortly after BA suspended its codeshare agreement with the airline. Ryanair caused controversy as it was investigated over leaving exit seats empty after introducing a premium charge for the extra legroom they provided. April began with travel disruption in Spain and Portugal. Malaysia Airlines implemented adult only sections on flights. Up to 1,200 redundancies at BMI were announced after the takeover by IAG. Speculation over the improbability of IAG finding a buyer for BMI Regional was quashed when it sold the airline in May. Positive news in June as figures for international air travel rose by 7% compared to the previous year. However, these figures were not enough to stop Easyjet from announcing the closure of its base in Madrid. A landmark move by the Office of Fair Trading forced airlines to be transparent about their credit and debit card charges in July. Strikes at major UK airports were averted at the last hour on the eve of the Olympics, preventing large-scale travel disruption. The UK and the world was overtaken by London 2012 Olympics fever in July through to August. Helped by around 1,300 volunteers, Heathrow gave the athletes a grand London-themed send off. A new generation of security scanners was trialled at Manchester Airport in September. A new compensation ruling was implemented in October for flights over three hours late. Hurricane Sandy battered the East coast of the USA at the end of October, which caused many flight cancellations. Ryanair introduced a 2% credit card fee to bookings in November. In the same month, a new low-cost African airline, Fastjet, was launched. Gatwick reinstated the volunteers which were so well received during London 2012 to help with Christmas cheer over the busy festive travel season. So, that was 2012. What a year! Keep an eye on this blog for more travel news over 2013!